Spotify buys podcast firms in bid to become world’s largest audio platform | What Hi-Fi? 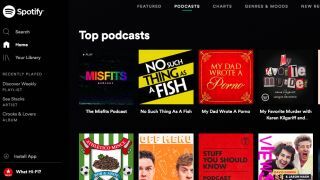 Last week, rumours circulated that Spotify was about to acquire podcast producer Gimlet Media in a bid to grow its podcast content. Today, Spotify has confirmed that it’s not only in definitive agreements to buy Gimlet but also podcast creation and publishing firm Anchor. So yes, Spotify is betting big on podcasts. Spotify’s ambitions not only lie in being a leading platform for podcast creators, then, but also being a producer of podcasts - to increase in-house content production as well as acquire exclusive series. Gimlet brings its podcast studio to Spotify, while Anchor offers its podcast creation tools as well as its established creator base. While clearly telling of how serious Spotify is about the role of podcasts in its future model, the acquisitions don't mark the beginning of Spotify's venture into podcasts. In October last year, Spotify launched 'Spotify for Podcasters', a platform where podcast creators who host their podcasts elsewhere can make their shows available to Spotify users through their platform’s feed. Allegedly, 10,000 podcasters are using this tool on a monthly basis, and more than 185,000 podcast titles (including some exclusive and Spotify-funded podcasts) are available to Spotify users. Transactional details haven't been disclosed, but previous reports suggested that Spotify's spend could be over $200m for Gimlet alone, which would make it the biggest acquisition in the streaming company's history.